Having replaced Ron Atkinson, Ferguson lost his first game at Oxford who have since spiralled out of the league, using 21 bosses in an effort to arrest the decline. He had to wait 213 minutes to celebrate a goal, with John Sivebaek - one of just 14 overseas players in the top-flight - scoring to secure a first win in his third game. With just one top-half finish in four seasons and Liverpool still dominant fans were growing restless, one memorable banner saying: "Three years of excuses and it's still crap...ta-ra Fergie." 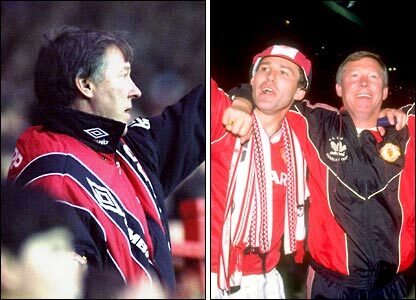 However, he pointed them on the glory trail with the 1990 FA Cup success against Crystal Palace.